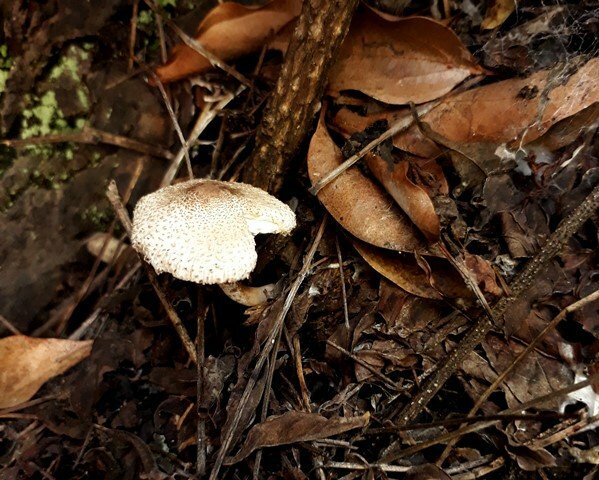 My place is hot and dry and the only time we see many mushrooms is during the height of the rainy season. So here are a few that tend to pop up on lawns and in my case, plant pots and flower beds. In a flower bed. Somehow this one almost looks like a black and white shot although the little green bits aren't the result of editing. This one is the only large mushroom I have ever seen and it sprouted in the only place which is cool and shady enough for a mushroom to thrive. I would probably have more mushrooms if I had an actual lawn but when I moved in, the backyard was a dustbowl and I can't see the point of wasting water to maintain one in our drought-stricken climate. I would rather turn most of it into a rock garden with succulents and put in paving stones to create walkways and let a tough indigenous grass slowly colonise the wasteland. You have different kinds of mushrooms! 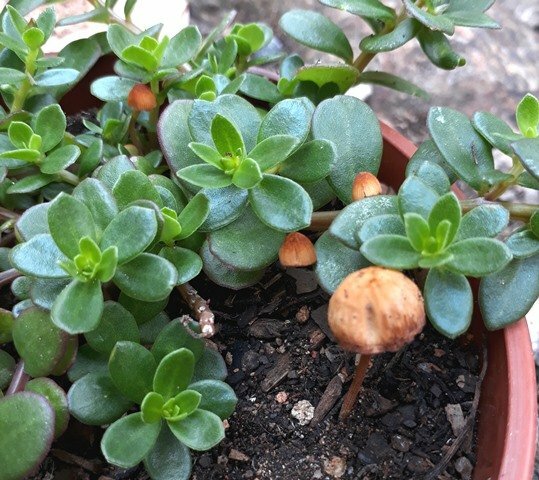 I am still waiting for my mushrooms to come back! Haaa I thought that second one was B&W :D I think I had those once growing in Suzi's grass. 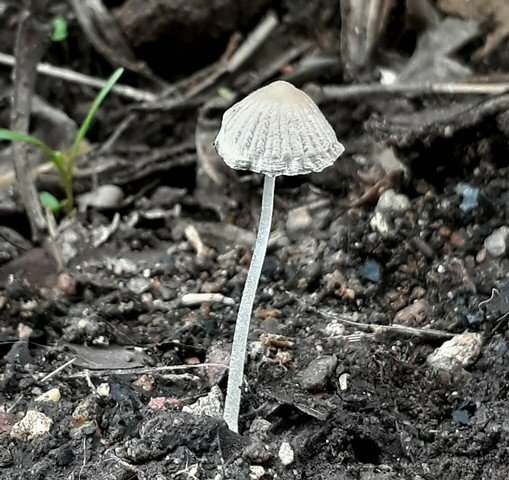 The bottom one looks like a type of parasol mushroom, the top two seem to be in the mycena family (there are many subspecies in that family). Those mushrooms are really beautiful! I had a bunch growing in my garden a few weeks ago. They have all but disappeared now! Nikkkkkk Cacnea is turning yellow :( why? What can i do? Is he ok? I saw Cacnea's baby turning yellow in your update, is he also turning yellow? Have you been watering A Lot? I'm sad to tell you that he appered to be infected by something and started dying. I watered him a bit every 15 days. I had to cut the babies and the rotten parts, hoping he can be saved. Mushrooms love moisture and warmth. They grow well in these conditions.